Propagation: 6500k version fixtures are perfect for cuttings during propagation and the germination and nurturing of small seedlings. Ideal as a supplementary light to HID lighting. Flowering: The 2700k version is used for the flowering stage of the grow cycle. Every grow stage: The dual version 6500/2700k is a less hassle option that offers more freedom for growers short on time. Self-cooling technology allows for far less heat to be emitted and instead creates a higher efficiency of light. 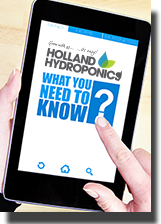 Growers can reach their desired level of lighting output, without creating unwanted heat. Available in 5 sizes, 30cm – 120cm.